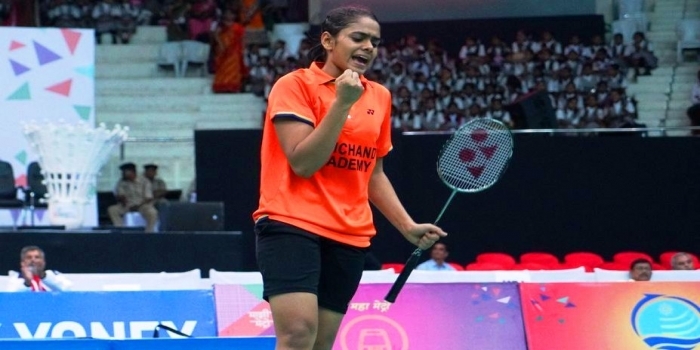 Odisha Shuttler Rutuparna Panda has been selected to be a part of the Indian badminton team for the Tong Yun Kai Cup 2019, the second edition of the Badminton Asia Mixed Team Championships to be held in Hong Kong starting today. Following the development, Chief Minister Naveen Patnaik took to Twitter to congratulate the young badminton player. He tweeted, “Congratulate shuttler from #Odisha, Rutaparna Panda for making it to the Indian badminton team for the second edition of the #Badminton Asia Mixed Team Championships to be played in Hong Kong. Best of luck to the team. #TongYunKaiCup2019”. Born in Cuttack on May 7, 1999, Rutuparna made her international debut at the Asian U-19 championship and was later selected for the 20-member squad for Asian Games 2018, which was held at Jakarta. Rutuparna won her first international doubles title at the Hellas Open Badminton Tournament in Greece on October 21. She was a trainee at Badminton legend Pullela Gopichand’s Academy in Hyderabad. The Badminton Association of India has selected seven young shuttlers in the women’s squad. The championship will conclude on March 24.